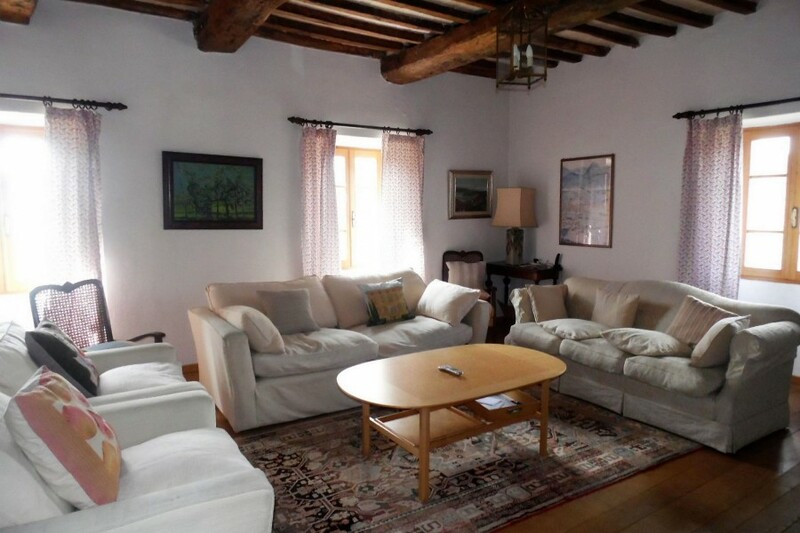 Ai Monti is a beautiful Tuscan farmhouse set in the rugged mountains of Garfagnana. 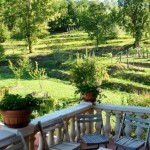 The house sits within an organic vineyard and small working farm. 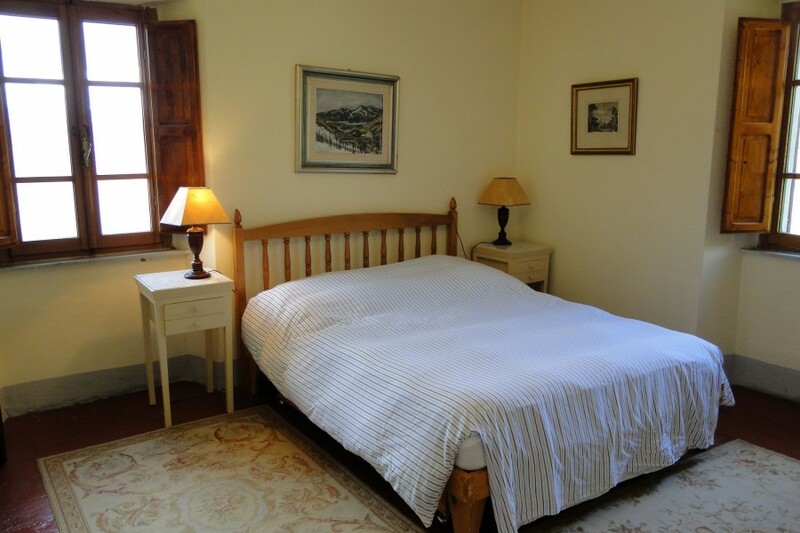 It is an ideal holiday spot for families, especially those with children. 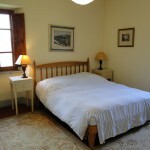 The main house sleeps up to thirteen people in six bedrooms. 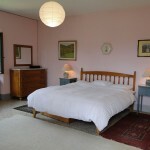 The house has everything you could need, including ping-pong table and alpacas to visit on the farm! The real highlight of the house during the summer has to be the pool. It is spring fed so always stays refreshingly cool, ten metres long and ranging from three metres to one and a half metres deep. 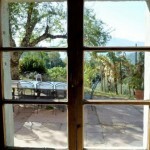 It has stupendous panoramic views. 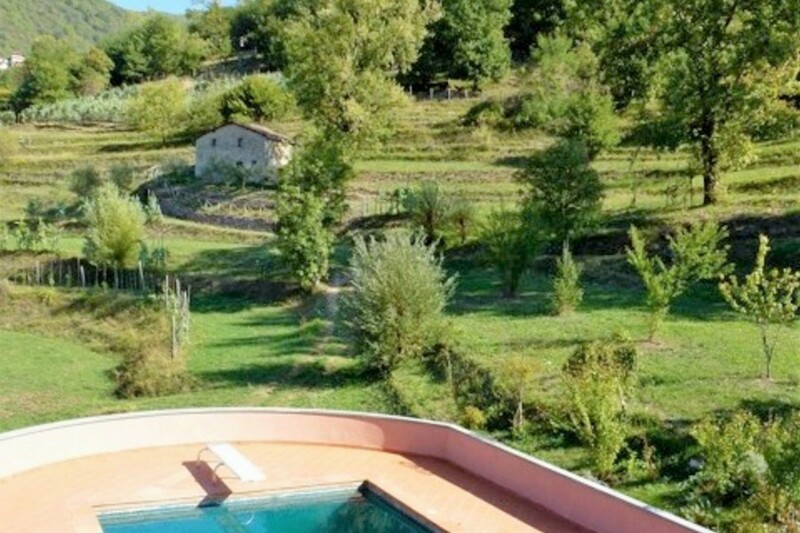 Days spent at Ai Monti in the summer always tend to revolve around the pool for very good reason. 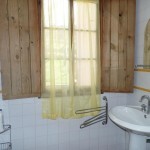 The house is very much a family home and has all the comfort and also lived in and relaxed feel that implies. The cosy sitting room is perfect for the occasional wet weather day and well stocked with board games, decks of cards, TV and DVDs and of course the all important WIFI! 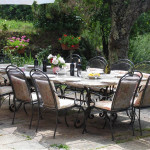 Moreover there are large tables to accommodate all the family for meals, both inside and outside. There are few pleasures greater than sitting under the lush wisteria, admiring the stunning view over a leisurely meal and a glass of wine from the vineyards surrounding the house. 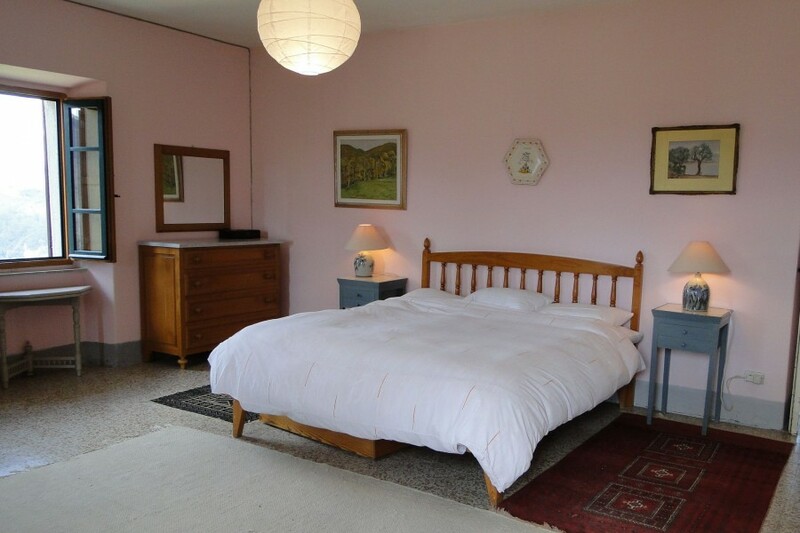 Enter into property into ground floor which houses kitchen/diner and utility room, between them equipped with double oven, aga, 5 ring hob, dishwasher, 2 washing machines, standard fridge freezer and a large American style fridge/freezer with ice maker. There is a breakfasting/food prep table and also a dining table with great views. 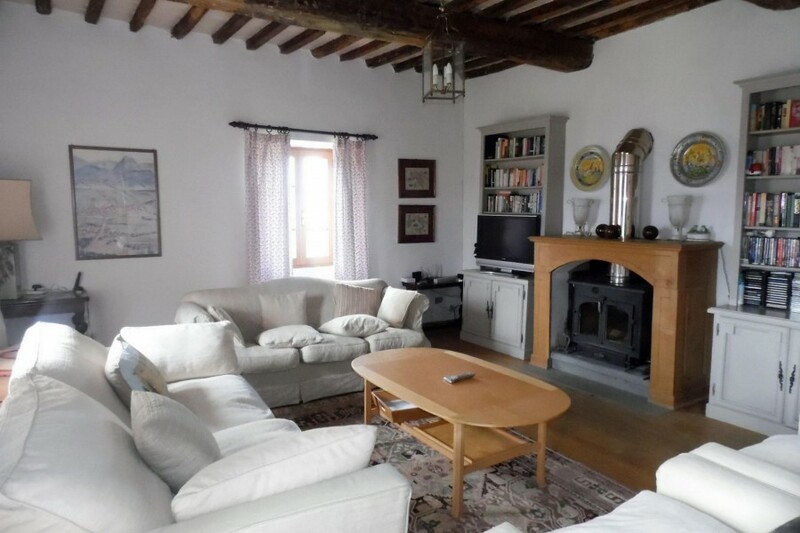 This traditional style farmhouse kitchen, well equipped for cooking for large groups, leads to a wonderful wisteria covered pergola dining terrace with fantastic mountain views. 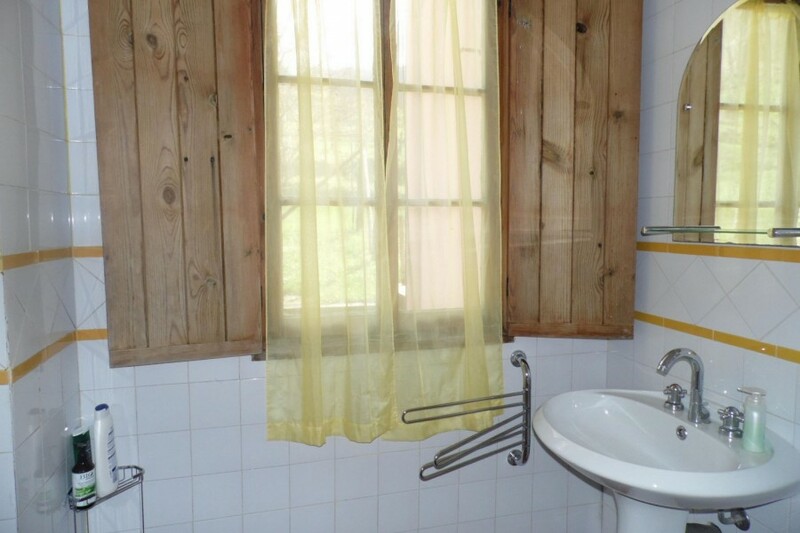 Also on this floor is a cloakroom with WC, basin and bidet.Stairs to first floor, and midway there is a door leading to the pool and sunbathing terrace, and here there is also the pool shower room with wetroom style shower, wc and basin. This is technically an external shower room but is attached to the house beside the exit to pool area, so it is very handy to be used by those in the house. Shower room with shower cubicle, basin. 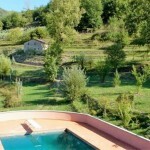 Wonderful private pool 10M x 5M with gorgeous mountain views, attracting the sunshine until late. Pool can be accessed from ground floor patio/pergola area via stairs that lead to pool terrace, or from internal stairs that lead directly onto pool terrace. 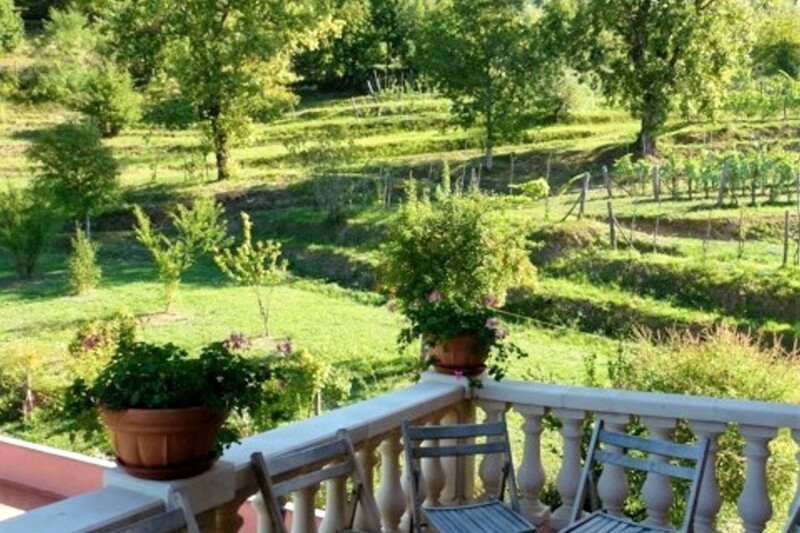 This house is immersed in greenery, with fields, olive trees and stunning mountain views. There are even Alpacas to visit !! 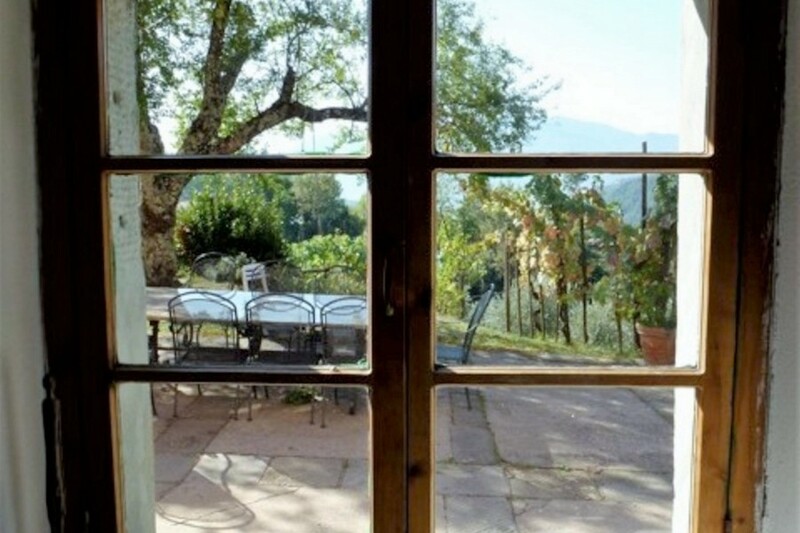 Perfectly located in the depths of the Garfagnana hills, on the sunny side of the valley with stupendous views, this very rural property is still convenient! 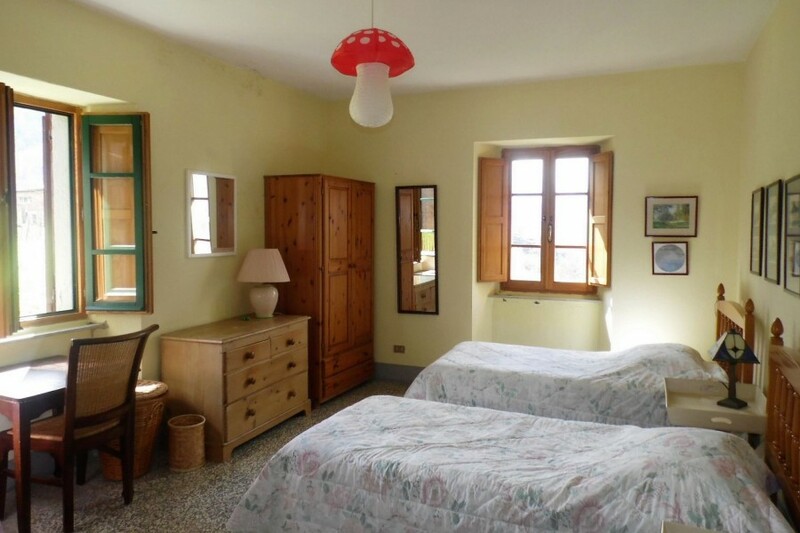 There is a restaurant at the monks sanctuary just a stone's throw away, a pizzeria 2.3km away, and the house is just a ten-minute walk from Migliano, the nearest village, complete with café/bar for ice creams which also doubles local shop for essentials. There is also a pharmacy here. Sometimes local festas take place here, especially in August, with food and music (ranging from traditional dances to pop). 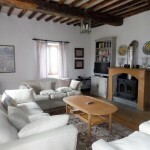 All this, and the house is also just 2km from the trains station, and just a ten minute drive from the bustling local market town of Castelnuovo di Garfagnana complete with Thursday morning market, shopping, bars, gelaterias, eating places, and river. There is often music in the summer. 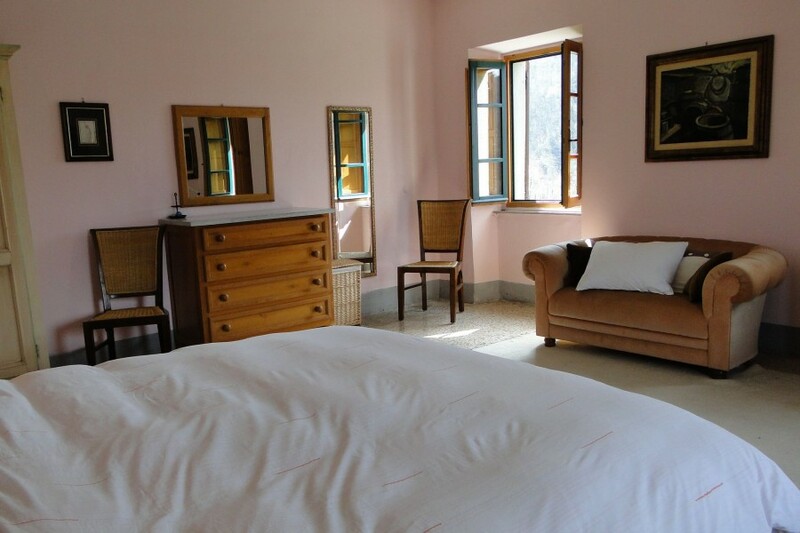 Why not visit the National Park of Orrecchiella, the location is ideal for walking, hiking, horseriding, mountain biking and picnicking, surrounded by views of the seemingly endless mountains, and local chestnut woodland. 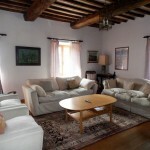 Lucca, the fully walled Mediaeval City and the Capital of the Region is less than and hours drive and one can spend the day cycling or meandering along its ample walls; people watching in both the grand and tiny piazzas with prosecco, coffee or ice cream; designer shopping; climbing towers, visiting some of its 99 churches or just taking in the atmosphere. If you like opera, there is a recital every evening before dinner in a unique church setting. The traditional Tuscan sites of Pisa and Florence are easily do-able in a day trip as are the beaches of Forte dei Marmi or Viareggio. 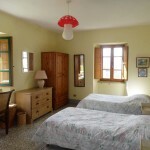 Many guests also visit the Cinque Terre.. 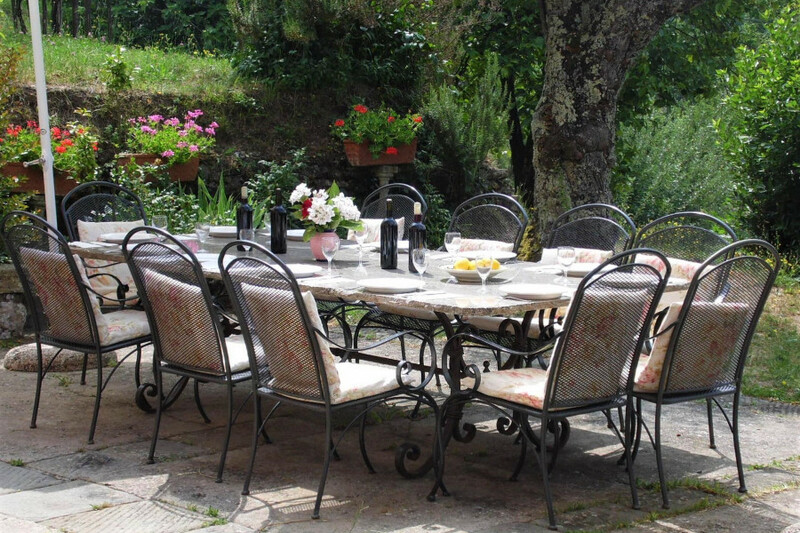 The Golf Course of Garfagnana is only a 15/20 min drive. 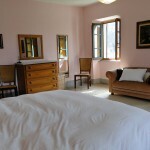 Perfect location in the Italian countryside, yet with facilities nearby - experience the real Italy!